BoyRaket.com: How I Find "Finding Dory"
Having the same plot current as before except to the Pacific Coast of California instead of the Great Barrier Reef of Australia, I find it equally entertaining and funny aside from the obvious cuteness that it brings. It showed how the Young Dory was wherein she always boil down on telling the other fish that she suffers from short term memory loss. You will like Hank the Octupus friend of Dory that plays a vital role on the adventures of Dory in California. Of course Nemo and his Dad Marlin plays a bit role as well for helping out Dory. We all know that Dory can 'Whale Speak' so you will also like Destiny's role the whale shark in the movie that happens to be Dory's childhood friend. 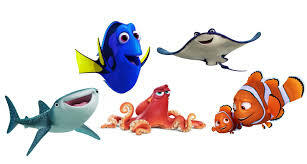 Have fun on watching Dory's childhood and brilliance in the her movie. Find out where she got the "Just Keep Swimming" song. I guess that's what I can say for now, I'm not really pretty good at doing movie reviews but I'll try my best on improving on that for my future write ups. Special thanks to Light Network as my media partner and PMCM Events Management that organized the event.